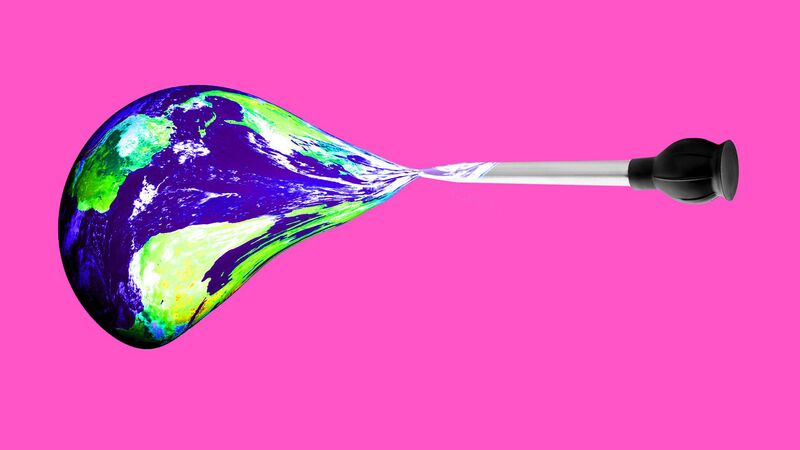 Carbon Engineering brought in $68 million worth of private equity, which will enable the Canada-based company to commercialize technology that pulls carbon dioxide out of the atmosphere, Axios' Amy Harder reports. Why it matters: It's the biggest private investment to date into a company seeking to deploy "direct air capture" systems, the company said Thursday. This type of technology does far faster what trees can do naturally in sucking carbon dioxide out of the atmosphere. And, because there's already so much buildup, scientists say we’ve reached a point in which some CO2 needs to be removed to limit Earth’s temperature rise and avoid the worst impacts of a warmer world. What they’re saying: Carbon Engineering says its machine — which includes a giant fan — will be able to capture CO2 at less than $100 a ton. Its CEO says that's the cheapest price any company of its kind has achieved (only a small handful of such companies exist). Carbon Engineering's investors include billionaire Bill Gates, the venture arms of oil companies Chevron and Occidental Petroleum, several equity firms, and private family foundations. The $68 million is more than half of the total funding it has received since its founding a decade ago, a spokesperson said. For at least the near term, the technology needs policies incentivizing it, Oldham says, and in America there are 2 big ones: a recently expanded federal tax credit for captured CO2 and California’s new law requiring 100% of its electricity come from carbon-free sources by 2045. The captured CO2 can then be stored underground (often, ironically, after extracting oil) or turned into transportation fuel with another of the company's technologies. What we're watching: The company will announce later this year the sites of 2 commercial plants, with at least 1 in North America, per Oldham. One of its investors, Jim McDermott of Rusheen Capital Management, says the cost curve will drop, much like what happened with solar energy as more plants are built. Washington State Gov. Jay Inslee, who is running a climate-focused White House campaign, is sharing more of his thinking about his platform and approach as the Democratic primary race heats up. Why it matters: The Democratic party is debating the best method of tackling human-caused global warming and other climate problems, including whether to embrace the Green New Deal resolution fully or partially. Inslee also is signalling the ways in which he's closer to Sen. Elizabeth Warren's reformist view of capitalism than to the democratic socialism of Rep. Alexandria Ocasio-Cortez and Sen. Bernie Sanders. Where it stands: Inslee shared more of his thinking about his platform with reporters yesterday while in Washington, D.C., for an American Council on Renewable Energy event. He said a detailed platform is still weeks away, but offered some clues. 1. 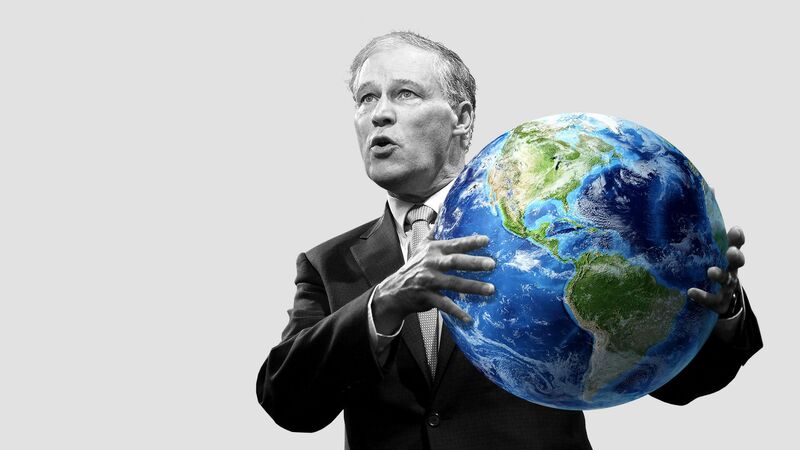 Inslee offered hints that his climate and energy platform won't be constructed around a single big idea analogous to Medicare for All. Instead look for a constellation of policies. 2. His comments on the filibuster suggest a lot of his platform will require legislation, not just administrative action. “I don’t believe you can really be serious about saying you are going to defeat climate change unless you realize that we need to have the filibuster go the way of history,” he told reporters. 3. Inslee's basic jobs message is that what he's calling for is already happening — the country just needs more of it. “I’ve got a shiny blue General Motors all-electric Bolt charging in my driveway made by American workers in Michigan. That is a pretty good vision for the United States,” he said at the event. 4. Inslee places more emphasis on the role of the private sector than some advocates of the GND, although he praises the concept. My thought bubble: That sounds a lot like the rationale for policies like clean power targets that lots of states have imposed and federal lawmakers — like Inslee, a former congressman who's worked on climate problems for decades — have unsuccessfully pushed nationally. A federal district judge has ruled that the Interior Department under President Obama failed to "adequately quantify the climate change impacts" of oil-and-gas lease auctions spanning 300,000 acres in Wyoming. Why it matters: The March 19 ruling that made the rounds yesterday says Interior can't allow drilling on those leases while it undertakes a court-ordered review emissions that could stem from the leasing decisions. But more broadly the decision by Judge Rudolph Contreras of the District of Columbia Circuit , while sure to be challenged, could complicate Trump administration efforts to spur more energy development on federal lands in western states. "'It is a big deal insofar as it’s going to force the government to think more completely and large-scale about the climate consequences of land management,' University of Pittsburgh law professor Joshua Galperin said of the ruling. 'And it’s not such a big deal in that it doesn’t necessarily stop oil and gas drilling even in this case,'" Bloomberg reports. "Western Energy Alliance President Kathleen Sgamma, whose group is one of the defendants in the case, said in a phone interview that she was confident that the ruling could be overturned on appeal," the Washington Post writes. Speaking of oil-and-gas leasing, yesterday's Gulf of Mexico lease auction drew $244 million in high bids. The big picture: "Upstream operators in US Gulf of Mexico Lease Sale 252 on Wednesday focused much of their bids around existing discoveries or fields in proven productive areas, a harbinger of quicker production from that oil-prone arena and an ongoing trend in recent years," S&P Global Platts reports. By the numbers: The Interior Department's sale data is here. Ford: Via The Wall Street Journal, "Ford Motor Co. is increasing its bet on electric cars, saying Wednesday it will convert a second North American plant to build plug-in models even as demand for the technology remains weak in the U.S."
The company said it's investing $850 million Flat Rock Assembly Plant in Michigan over the next several years. Ford's announcement is here. Volvo: Per Reuters, "Volvo Cars expects its margins on electric cars to match those of vehicles with combustion engines by 2025, the head of the Chinese-owned Swedish carmaker told Reuters." Fisker: From The Verge, "Henrik Fisker, the man behind the ill-fated Tesla-challenging Karma hybrid sports car and current CEO of Fisker Inc., has announced a new electric SUV with 'close to 300 miles' of range that will start 'below $40,000.'" Anthony Pugliese has resigned as chief of staff for the Federal Energy Regulatory Commission, the agency said yesterday. He'd been in the role since August of 2017. What's next: Pugliese tweeted yesterday that he's "excited for my next challenge & opportunity - continuing the American model of energy for the world. Stay tuned!" “I want to thank Anthony for his willingness to serve the agency and the country, and we wish him all the best in his future endeavors,” FERC chairman Neil Chatterjee said in a statement. The intrigue: Via Utility Dive, "Pugliese stoked controversy last year for making political comments in the media and implying FERC was working with the Department of Energy on a support package for coal and nuclear plants." Cities are adopting tolling and closed-loop shuttle buses to mitigate traffic, to integrate AVs into public transit, and to prepare for the possibility that AVs used in ride-hailing could exacerbate urban congestion, writes Axios Expert Voices contributor Jim Barbaresso. The big picture: Reducing congestion in densely populated, trafficked metro areas will require distributing people more strategically across transit options and routes. New York City recently announced a plan to charge a toll on vehicles entering Manhattan south of 61st Street. The revenue would be used to improve transit services in the city, in particular the city’s 100-year-old subway system. San Francisco's Treasure Island, a former Naval Air Station in San Francisco Bay, is the site of an expansive new development that includes 8,000 new residential units. Transportation plans include tolling and an autonomous circulator shuttle around the island that connects to public transit. Jacksonville has plans for a fleet of autonomous circulator buses to connect the city’s downtown and surrounding neighborhoods. What we're watching: Two tools for managing traffic could be especially helpful when AVs are eventually deployed, and could complement existing efforts. 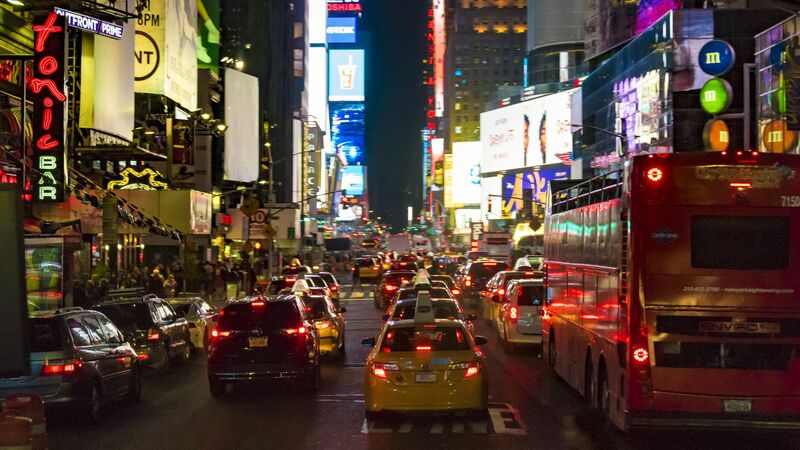 Congestion pricing, as New York has proposed, uses tolling to dissuade vehicles from entering certain districts during select hours. Tolling AVs could encourage shared rides and reliance on other transit options, which would keep congestion in check. It could also serve to replace funds from fuel taxes, which won’t apply to electrically powered AVs. Optimization software can distribute vehicles across various routes, like Waze does today, to help alleviate congestion. Read more of the full post. Barbaresso is SVP of intelligent transportation systems at HNTB, an infrastructure advisory firm.